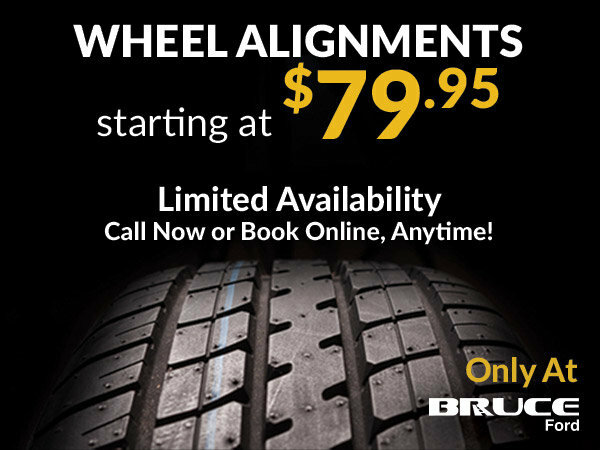 Wheel Alignments at Bruce Ford start at just $79.95! Spaces are limited, call now to book yours or book your appointment online, anytime using the button below. You won't find a deal like this anywhere else!